The World Geothermal Congress (WGC) was held in Melbourne at the Melbourne Convention and Exhibition Centre from 19th – 24th April 2015. The event was co-hosted by New Zealand, where a number of short courses and field trips to geothermal plants also took place post-conference. Over 1,600 delegates from over 80 countries attended the conference which lasted 5 days. 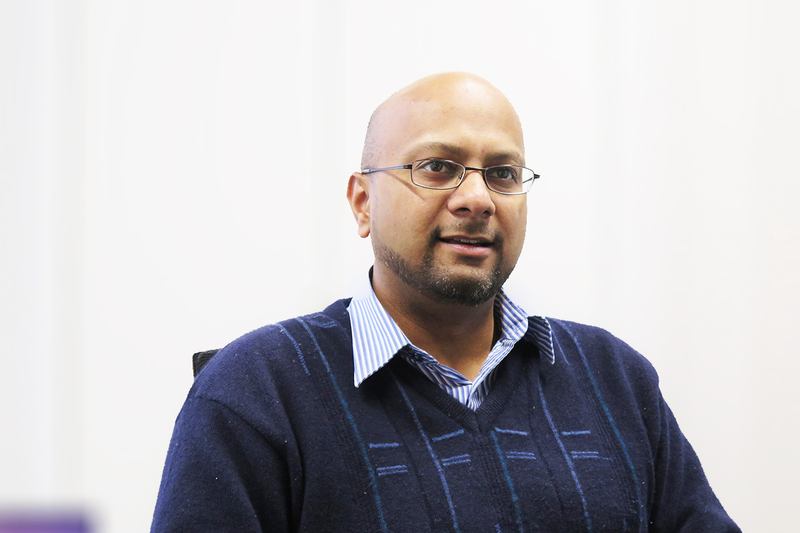 Around 1,300 papers were presented, divided into 35 topics run in 12 parallel sessions, making it the largest ever technical programme run at WGC. About 250 delegates attended from NZ, the largest attendance from a country at the conference with the next one down being half that figure. A showcase video ‘The NZ Story’ prepared by the NZ Government was used throughout the conference to promote New Zealand as a good place, and New Zealanders as good people to do business with. 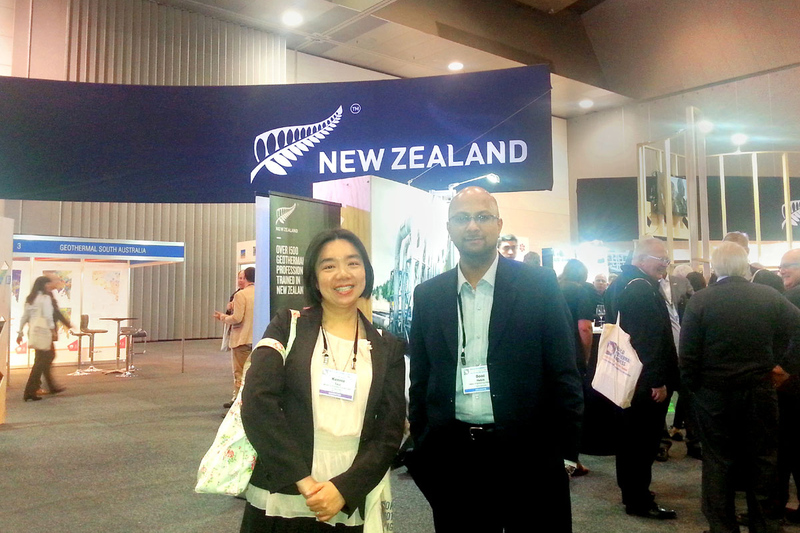 Our Senior Research Engineer Dr Boaz Habib with MBIE's Kennie Tsui at the World Geothermal Congress. The global geothermal power market continues to grow. Today, there is an installed power generation capacity of 12,635 MW, a figure that has grown by 16% over a 5-year period. It is expected that increase will continue, with installed power generation capacity reaching 21,400 MW in 2020. The main region for geothermal power is Asia and the Pacific, with Indonesia, the Philippines, and New Zealand in the forefront. This is followed by North America. Dr. Boaz Habib, Senior Research Engineer (Clean Energy) from HERA also attended this conference and presented a paper on the Above Ground Geothermal and Allied Technologies (AGGAT) Research programme. A number of our HERA member companies were at the conference taking part in the NZ stand set up at the conference exhibition, with some of them also making presentations about their projects and achievements during the technical sessions. HERA members present represented a selection of New Zealand’s geothermal industry capability, from research and development, exploration and design, construction and, operations, to maintenance, monitoring and training.